PORTLAND, Maine — MaineGeneral Health will close its nursing home and end management of urgent care services in Jackman, leaving the small Somerset County community near the Canadian border without around-the-clock emergency medical care. On May 19, MaineGeneral told town officials that it would be ending its operations in Jackman, which include the remote town’s ambulances, according to Selectman Alan Duplessis. Scheduled for September 1, the health care provider’s exit means that Jackman residents will have to travel nearly 50 miles or further to the nearest hospital if they need emergency care outside of regular business hours, and may temporarily leave the town without ambulance services, Duplessis said. Jackman is only one of many small towns across rural Maine that has struggled to maintain local health care in recent years, Duplessis said, and MaineGeneral’s announcement has struck deep anxiety into its fewer than 900 residents. “We’re just a small, isolated community and we’re scared,” he said. During regular office hours, Penobscot Community Health Care will continue to provide a variety of health care services, including urgent care, at its facility in Jackman. But MaineGeneral’s closure of its nursing home will make 24-hour staffing impossible, according to Dr. Noah Nesin, vice president of medical affairs for Penobscot Community Health Care. The two health care providers have collaborated to offer Jackman around-the-clock coverage, with the nurses at MaineGeneral’s elder care home covering nights and weekends, Nesin said. They also share facilities in the town and work closely together, according to Nesin. Penobscot Community Health Care announced that MaineGeneral would be ending the services in Jackman in a May 25 letter to residents from President and CEO Ken Schmidt. His organization hopes to begin offering some health services on Saturdays, Schmidt wrote. MaineGeneral has lost an average of $630,000 a year running the 18-bed Jackman nursing home over the last decade and “can no longer subsidize” the facility, spokeswoman Joy Mckenna said. The health care provider will be working over the summer to find other accommodations for the 10 residents of the Jackman nursing and will offer the 15 displaced staff other positions or severance packages, Mckenna said. MaineGeneral also owns two ambulances in Jackman and provides stipends to their crews, Mckenna said. The town is working to find a way to sustain ambulance services after MaineGeneral leaves, and hopes to have the fire department provide them. The health care system wants “to leave the community with resources to sustain ambulance services,” Mckenna said. 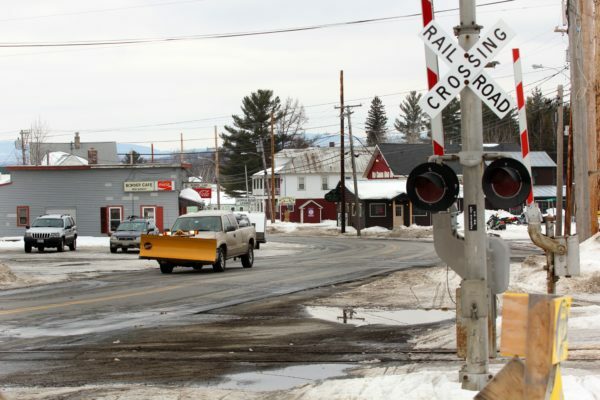 But taking over emergency medical transportation before MaineGeneral stops offering it is a challenge for the small community, according to Duplessis. “We wish that MaineGeneral would have given us more than 100 days notice, but that’s what we were dealt,” Duplessis said. Once MaineGeneral’s nursing home closes, Jackman residents in need of urgent care during off hours will have to take Route 201 to Skowhegan or Route 15 to Greenville, Duplessis said. This change was noted with concern by Gov. Paul LePage during a talk in Portland Friday morning. “You can’t let it close because the closest medical facilities are 50 miles away in one direction and 75 miles in the other,” said LePage. An informational meeting about health care in Jackman will be held on Wednesday, June 7, at Forest Hills School at 7 p.m.